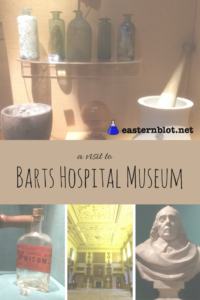 Last week I joined several other London bloggers on a behind the scenes visit to Barts Hospital Museum. 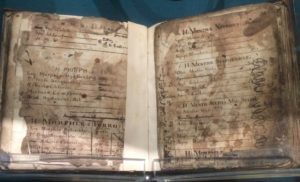 The museum turns 20 years old this month, but the building it’s housed in is much older than that, dating back to the 18th century. It’s one of the historic buildings on the hospital grounds, originally designed as an administration building, so it never housed patients. Those weren’t the first buildings to house the hospital either. As you’ll learn in the museum exhibit, Barts can trace its roots to the 12th century. Barts Hospital Museum is small, but the displays cover the complete history of the hospital and of the progression of medical care in the centuries since the first patients were treated at Barts. 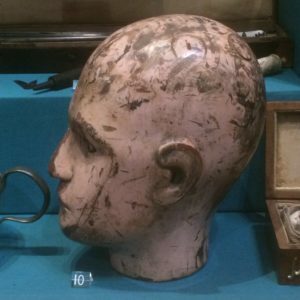 The exhibit includes some now outdated medical techniques, like trepanning, and precursors of modern medicine. Barts Hospital was also home to some famous names in medical science: Expect to learn about William Harvey, the physicians who described blood circulation, and Percival Pott, one of the earliest orthopedics as well as a cancer epidemiologist. 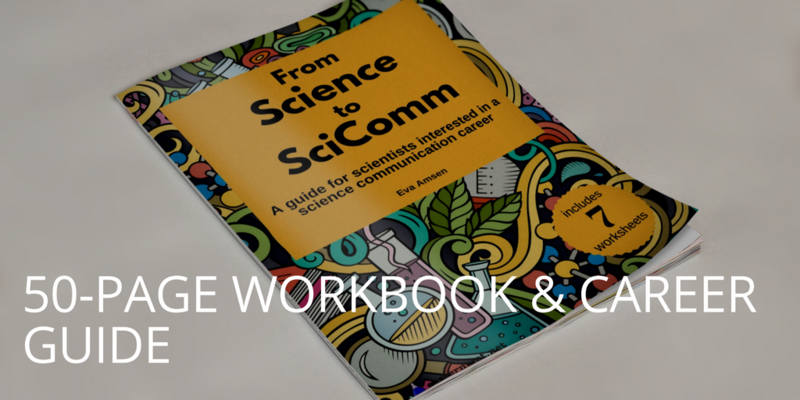 He discovered the correlation between chimney soot and incidence of cancer. Beyond the small museum is a very imposing staircase. 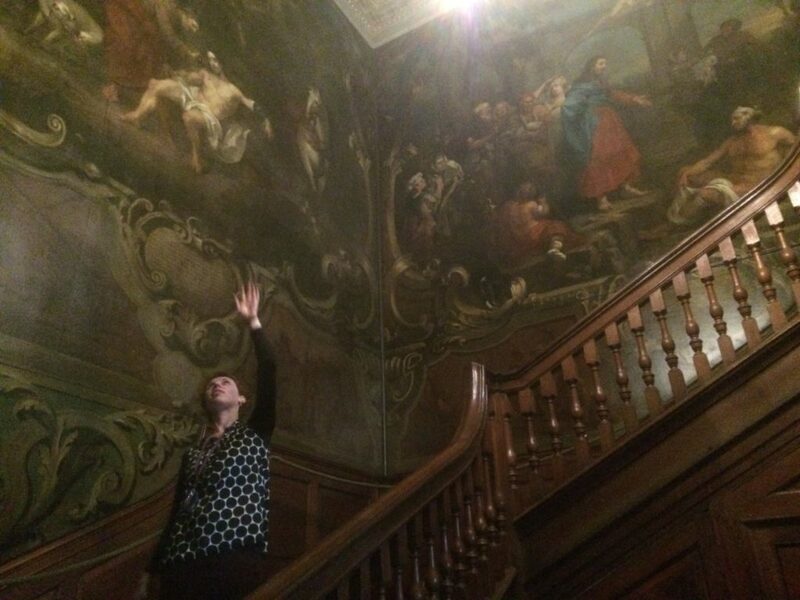 All along the staircase are giant murals, painted by the 18th-century painter and cartoonist William Hogarth. One side was painted in canvases which were then applied to the wall. The other, much less detailed, side was painted in situ. Hogarth had a fear of heights, and didn’t want to spend too much time on that side! The staircase is normally closed to visitors, but we were allowed up, and at the top waited a surprise. While the museum downstairs was small, upstairs was a massive hall! Along all of the walls of the Great Hall were panels with names of donors and funders, interspersed with paintings. 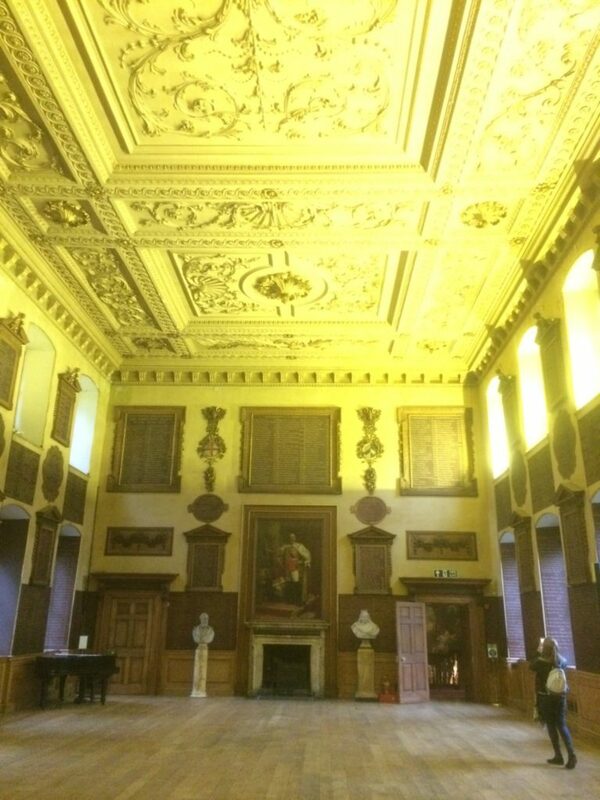 You can visit the Barts Hospital Museum (but not the Great Hall) on Tuesdays to Fridays, between 10 and 4. 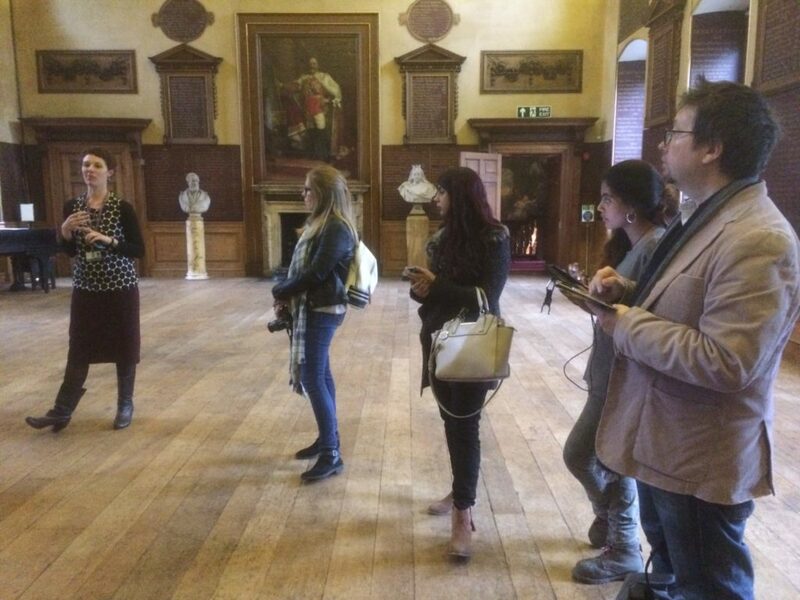 More pictures from our visit are on Twitter and Instagram, under the hashtag #bartsmuseum20.